Kojak patrolling the corridors in Alden schools. The Erie County Sheriff's Department has added a new therapy K-9 to the force. Kojak is a two-year-old Native American Indian dog who recently completed training in Florida, funded by the Sheriff's 21st Century Foundation. He won't be sucking on lollipups...er, lollipops. Kojak and partner Deputy Ashley Piel will help take a bite out of crime in the Alden School District. 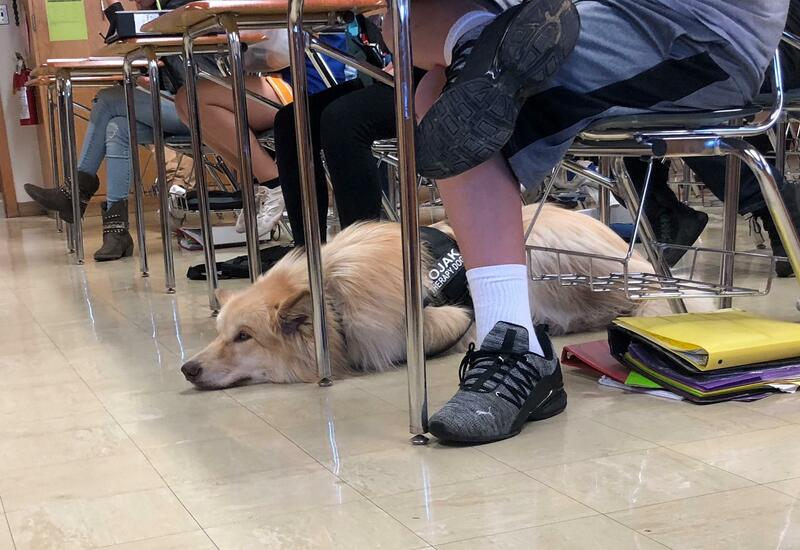 This team joins the Sheriffs’ first therapy K-9 dog, Loki, in helping bring comfort to students.